...and our services are offered at NO COST to you! 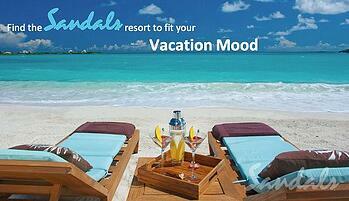 There are 15 Sandals Luxury All Inclusive resorts on 7 islands. Each resort has a unique personality. One of them is the perfect destination for your Caribbean vacation. This is the BEST deal that the Sandals and Beaches resorts offer and it doesn't happen very often. We get EXCITED when this one comes around! Based on which resort and room category you book, you may earn a 6th, 7th OR 6 and 7th nights free. Limited time offer. Contact Us now to claim this deal. The 6th room is free when you travel with your friends and family to select Sandals and Beaches resorts. Up to 3 complimentary rooms. Plus, Sandals and Beaches includes private dinner and cocktail receptions as well as other group ammenities. This is a very limited time offer. Contact Us now to claim this deal. There is never any fee for our service.